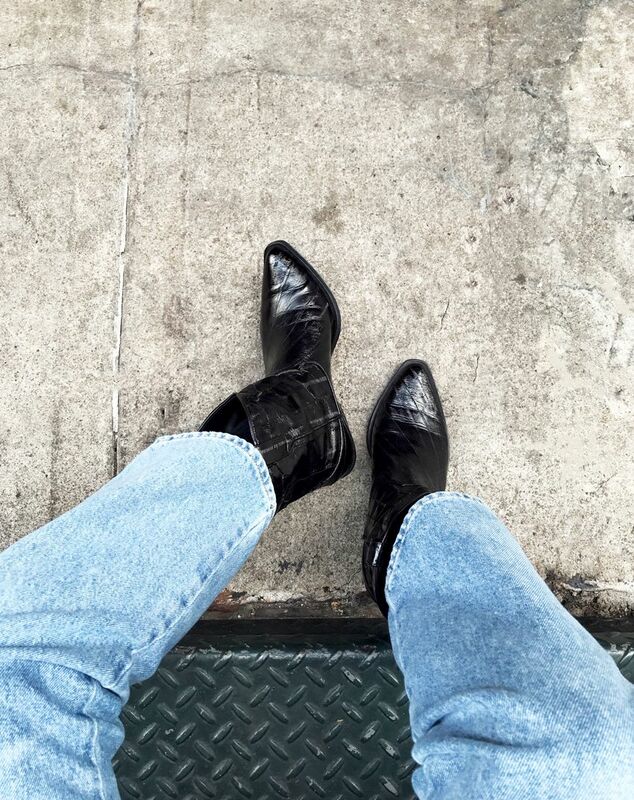 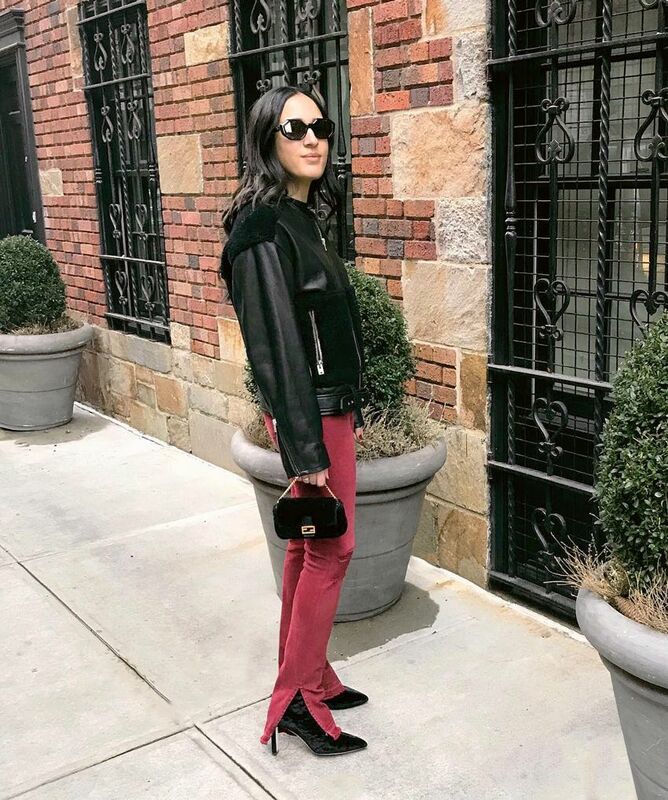 It’s boot time: From newer, trendier finds to sleek classics, today I’m putting a special seasonal spin on my Trust Me—Buy This series and making it all about boots—because it’s that time of year, and they just happen to be some of my all-time favorite staples. 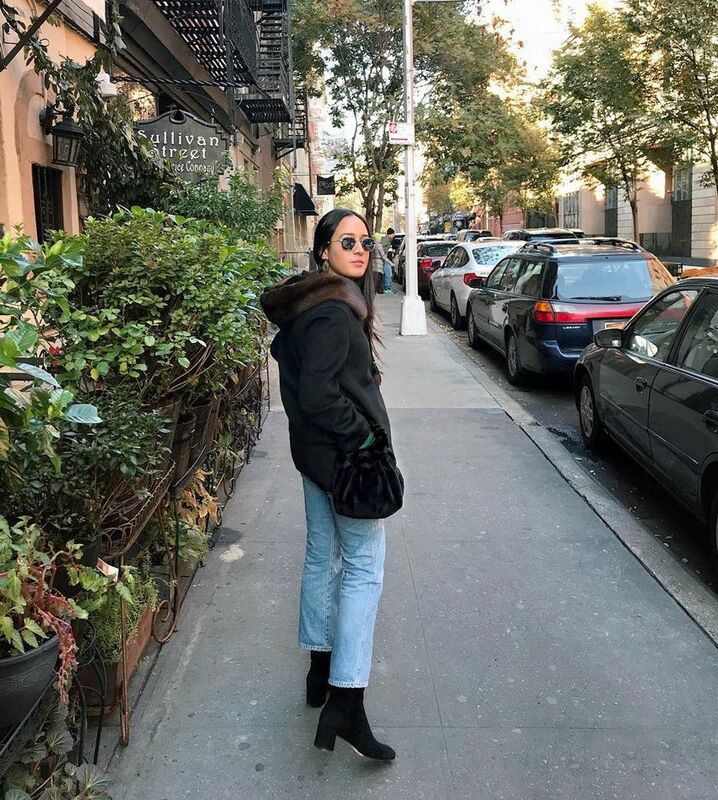 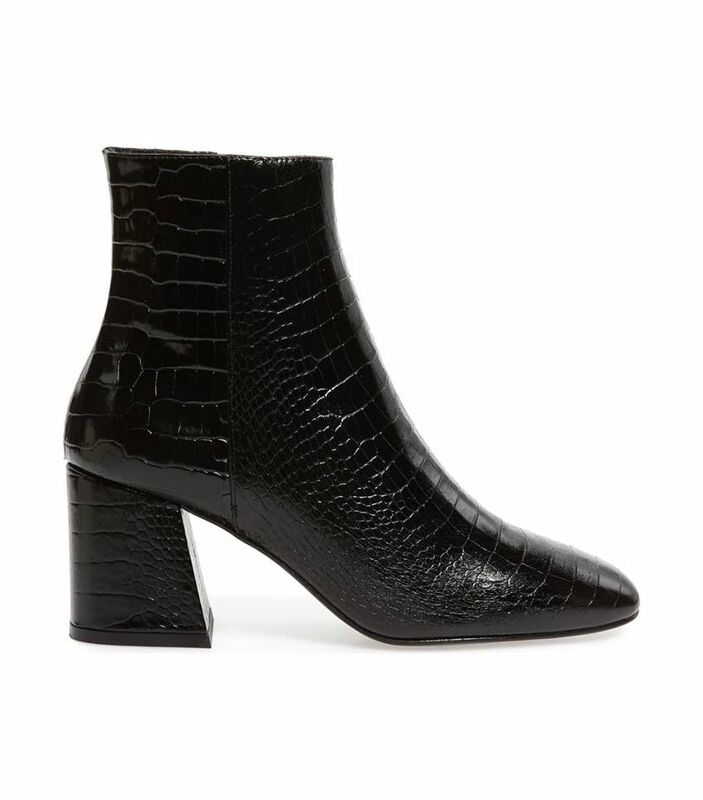 I don’t know about you, but the second the temperatures drop to below 60 every year, I get into ankle-boot mode and pretty much avoid all other footwear. 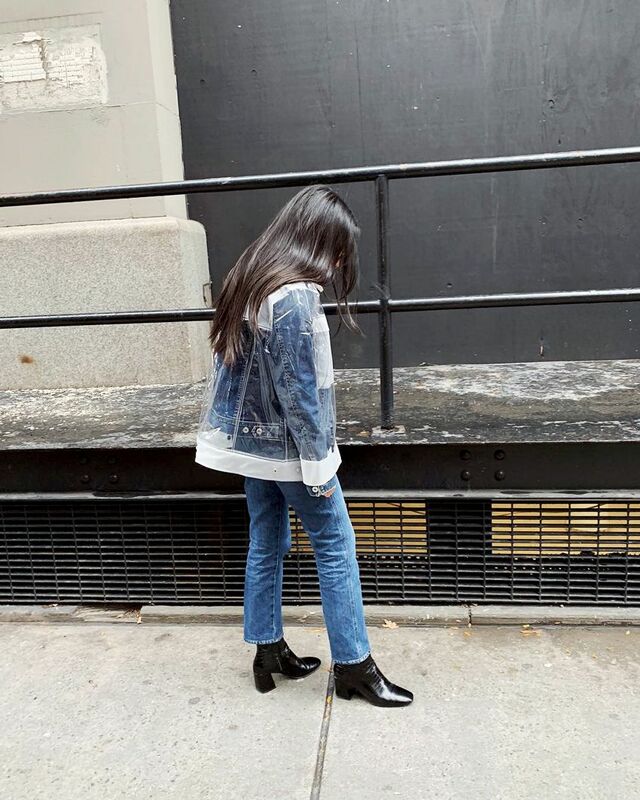 After all, there’s nothing easier to style with my daily uniform of jeans and a tee, and they are the next best thing to sneakers when comfort is a priority. 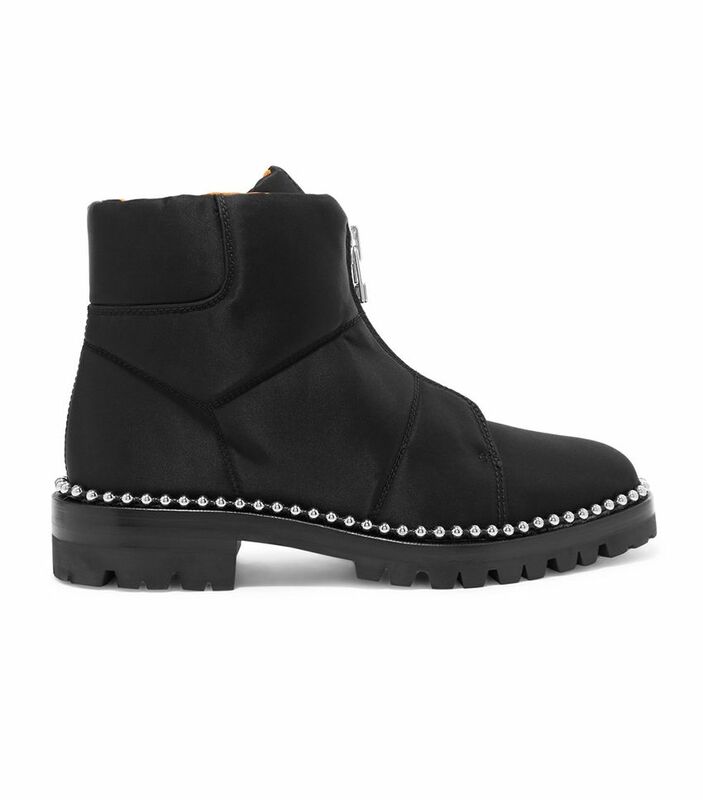 Plus, they give any outfit a polished touch. 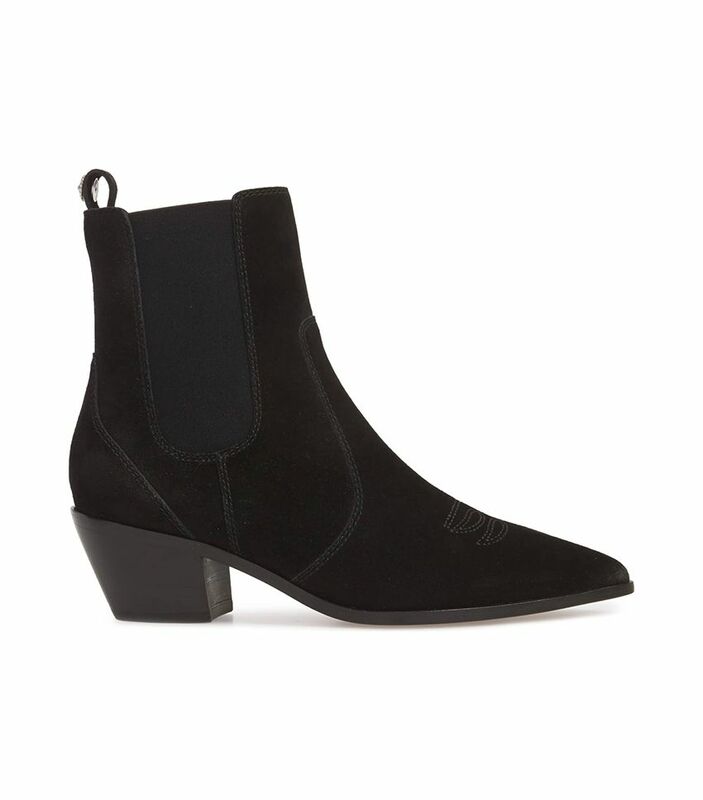 I’ve talked about these Paige boots so much that I’m sure you’ve heard this before, but if you’re looking for a sleek and freakishly comfortable pair of everyday ankle boots, these are 100% them. 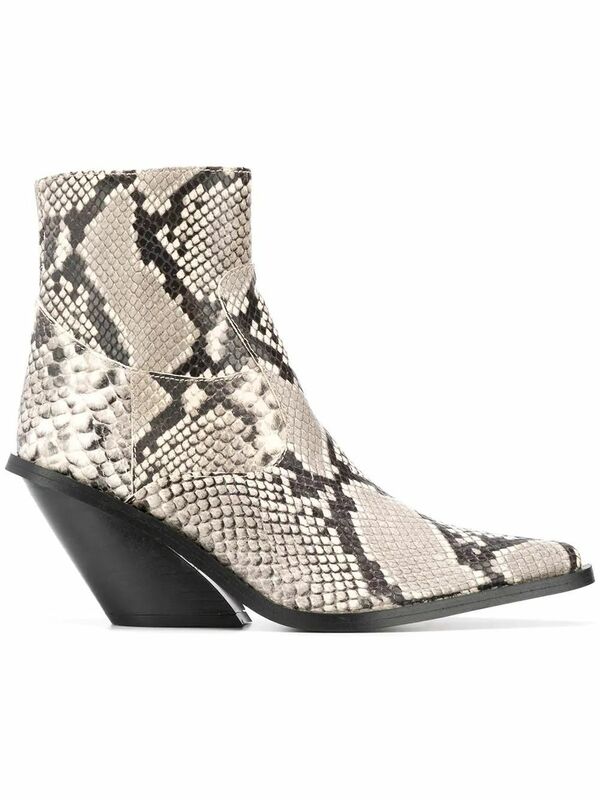 I love pairing this cool pair of Western-inspired boots from Tamara Mellon with straight-leg jeans and a sweater. 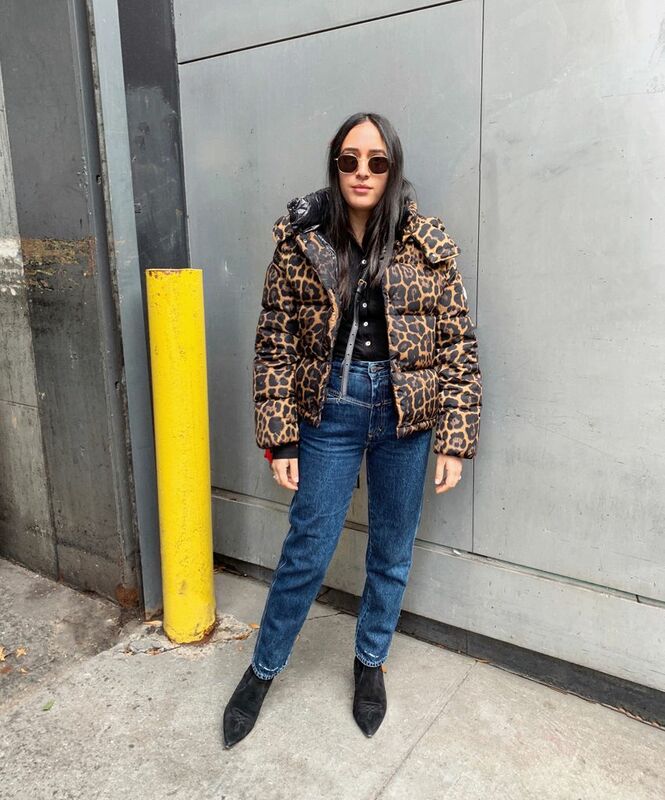 It’s an easy outfit that still feels fashion-forward because the boots are so special. 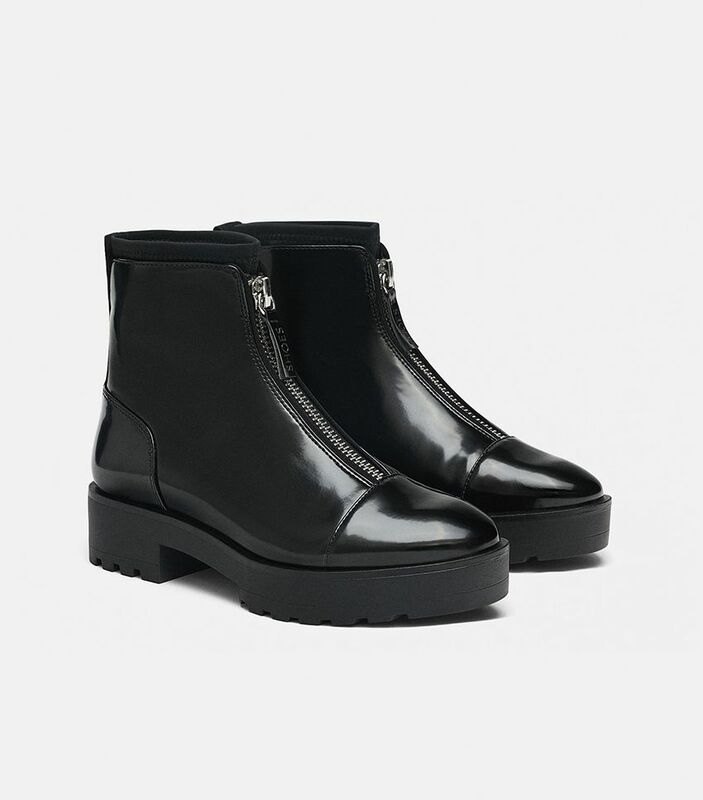 The mid-height heel and almond-shaped toe make these comfy M.Gemi boots a great everyday pair—especially for work. 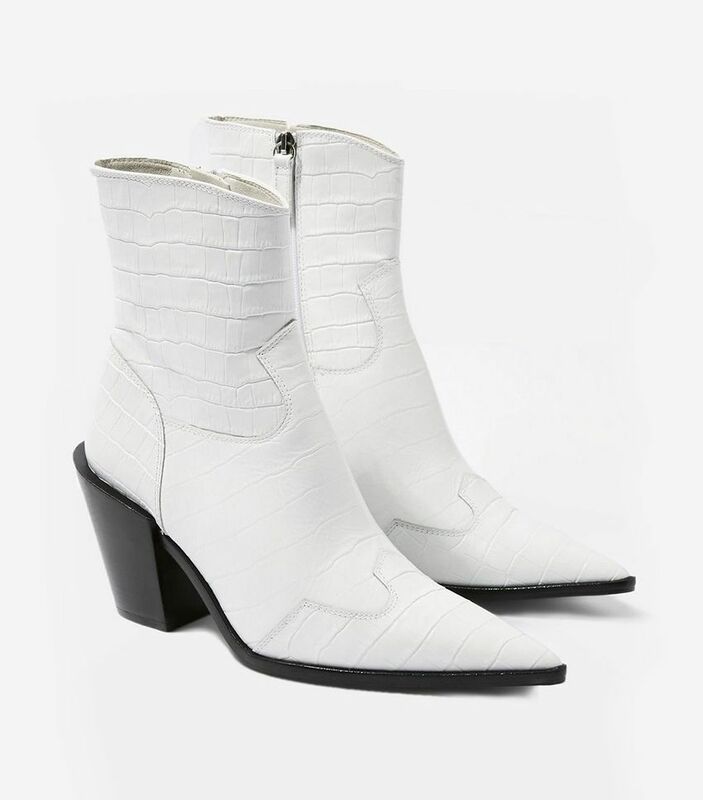 They make you feel like you’re a little dressed up, but you can still style them how you would flat boots. 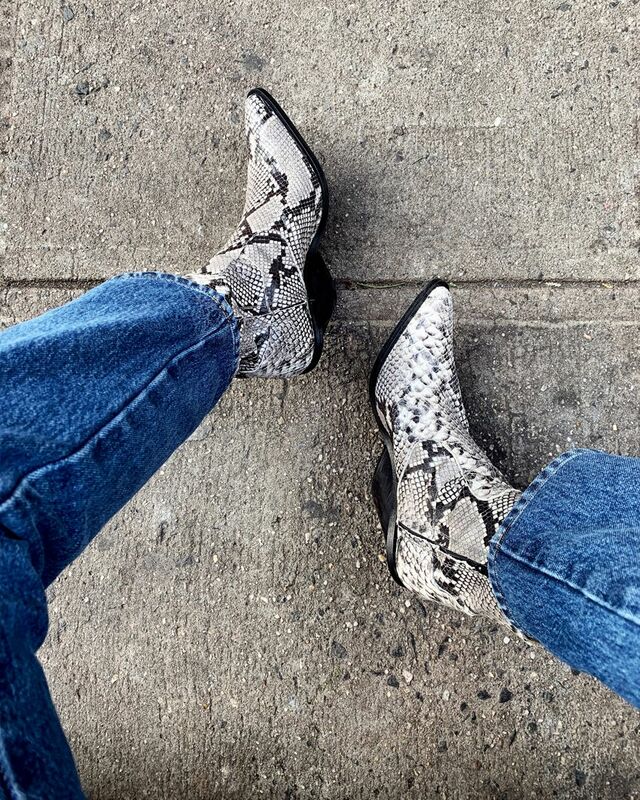 Since fall began this year, I’ve been wearing these Jimmy Choo boots from last winter so much again. 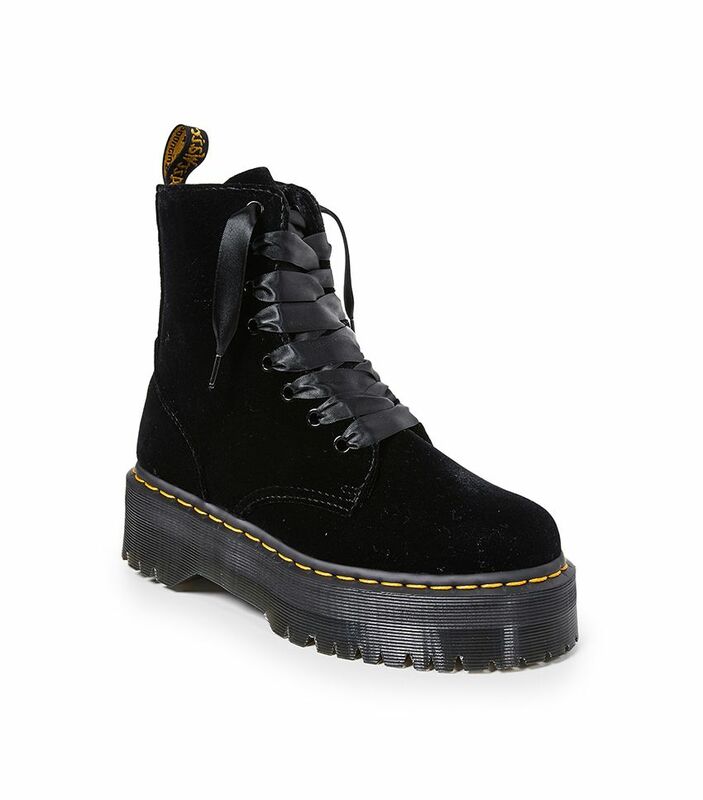 Mine (which are black velvet) seem to be completely sold out, but they’re still in some sizes in this cool metallic color, and I highly recommend them for anyone in need of a nighttime option. 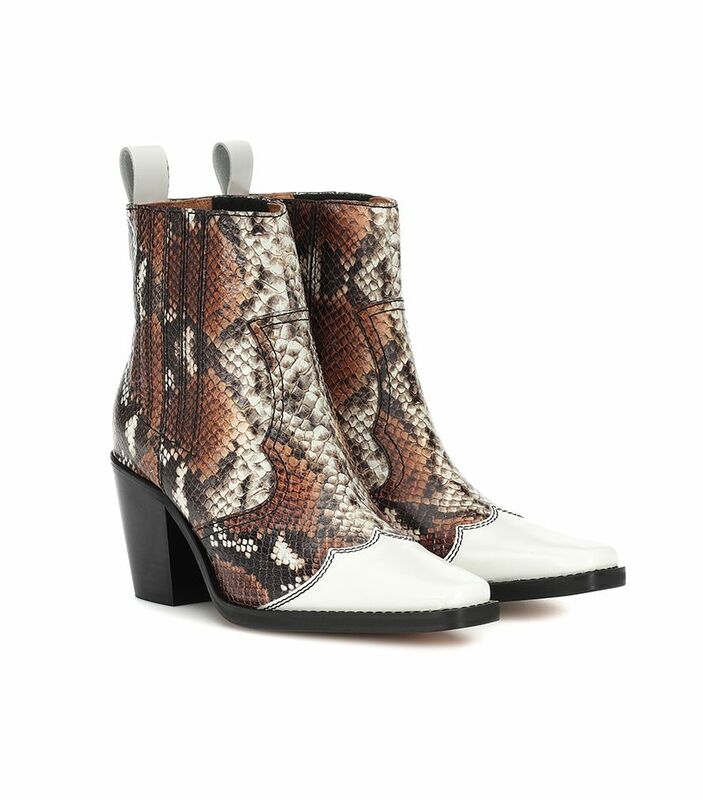 It’s hard to get me to break from my all-black shoe wardrobe, but I will gladly do so for these snake-print ankle boots from Gia Couture. 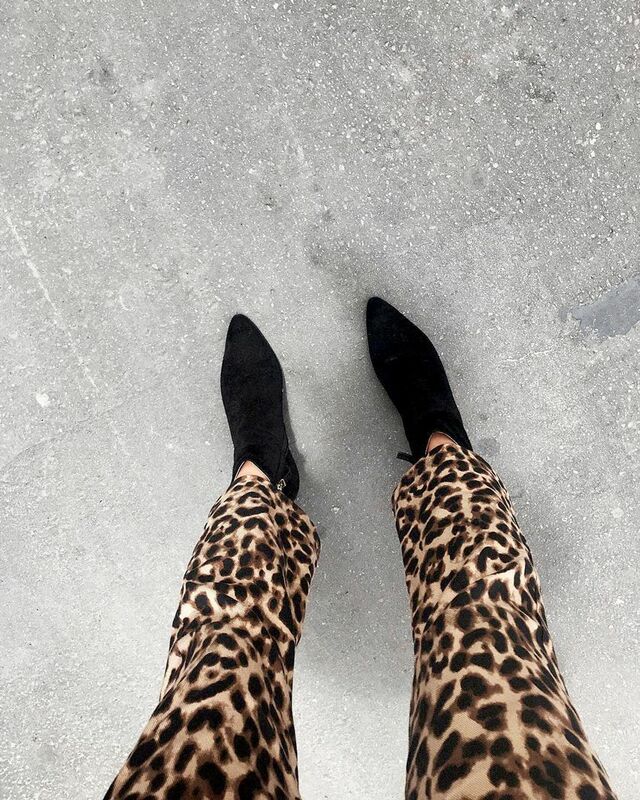 The print is so neutral you can wear them with anything and just let the compliments roll in. 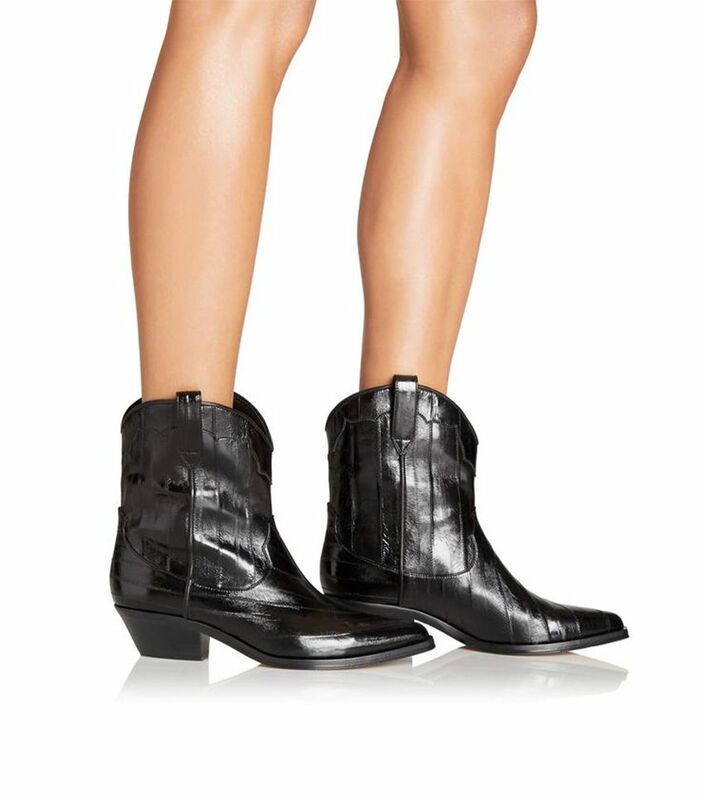 For a subtly trendy choice, look no further than this embossed black pair by Freda Salvador. 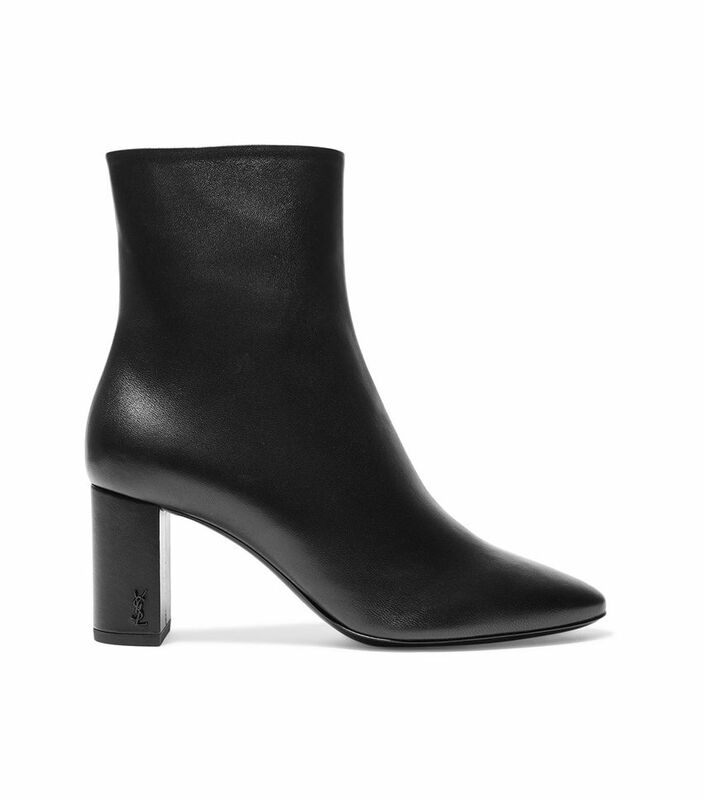 The heel shape and material make them feel non-basic, but they’re still simple enough for everyday wear. 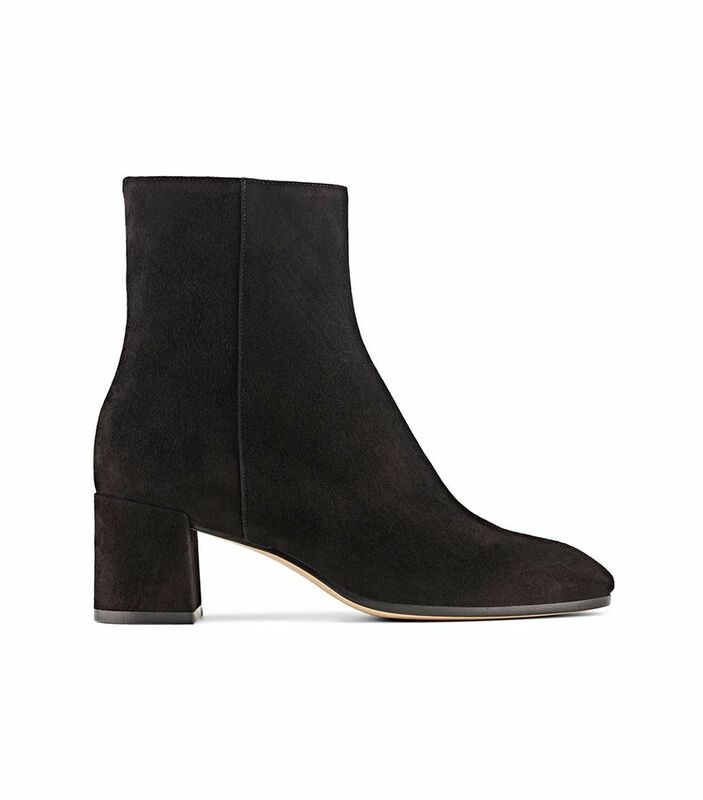 Last, but not least, is one of my favorite investment buys: these The Row Ambra boots I’ve had for I believe three years now. 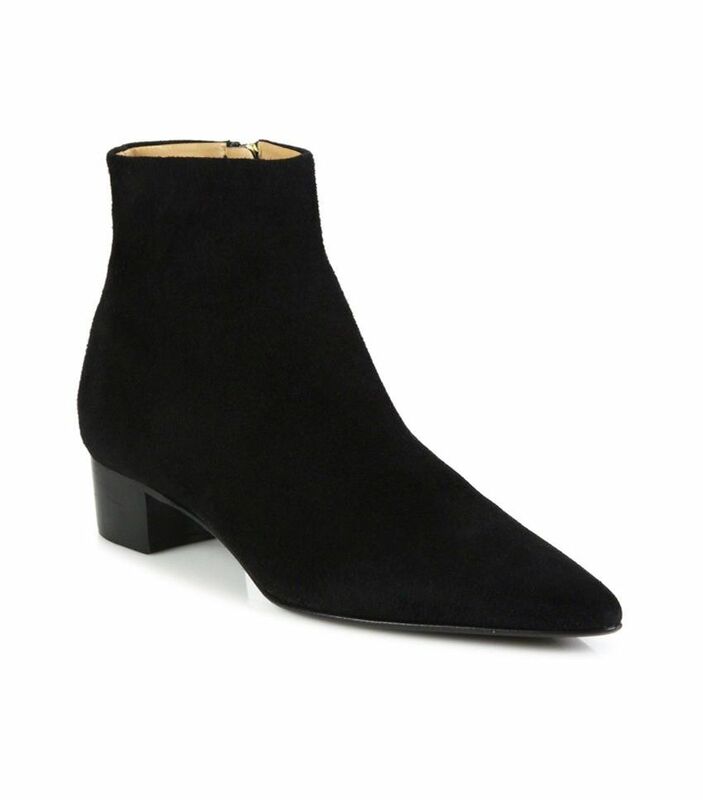 The pointed toe and slim shape make them the perfect super-polished black daytime boots. 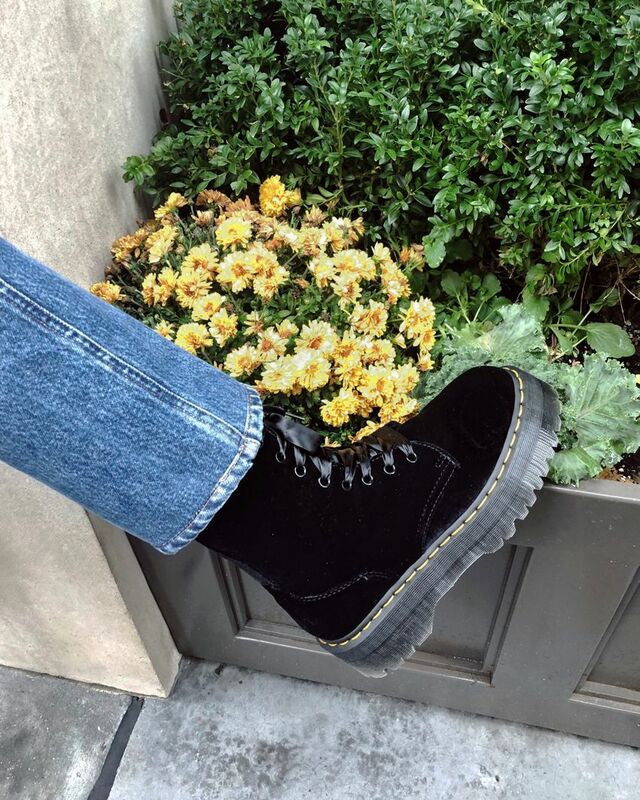 These are the kind of boots you can wear with anything, and they’ll make your outfit amazing. 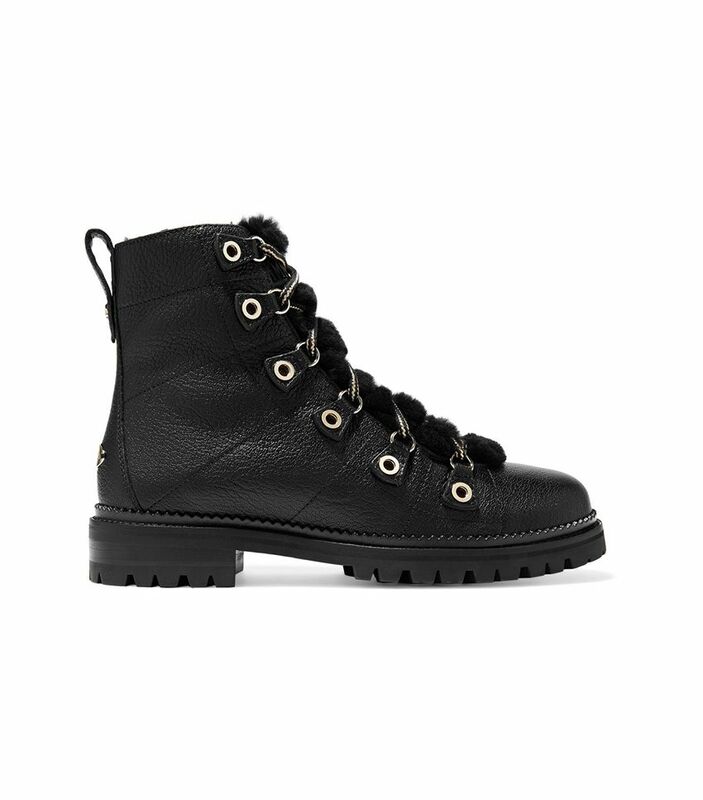 If you really want to treat yourself to something this holiday season, it doesn’t get more luxe than Jimmy Choo winter boots. 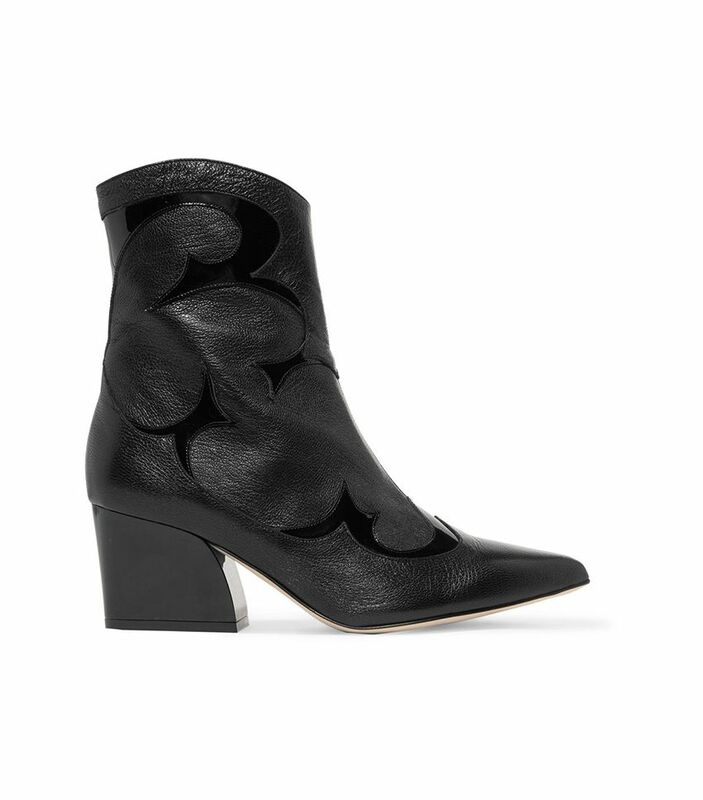 As you can see, I’m very into not just Western boots, but black ones especially.